One has to be a lowbrow, a bit of a murderer, to be a politician, ready and willing to see people sacrificed, slaughtered for the sake of an idea, whether a good one or a bad one. From Writers at Work by Henry Miller. I think it might be a horse but I am not sure. I'm thinking it is a horse and that it's moving too. Dangerous blogging? It must be a horse! Nice photo. Great shot! Full of atmosphere! 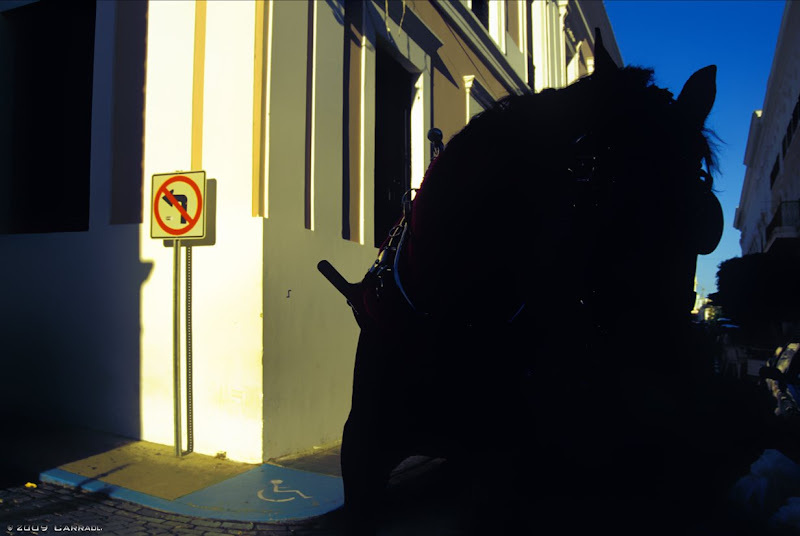 Good thing the horse can obviously read the sign! Abe, Ciel, Joo, Thats, Ab, no doubt it was a horse, almost step on me.